What is your image of microfinance? However, we believe that such images of microfinance do not reflect the true reality or potential of microfinance. Ever since our initiation, our foundation has been working to promote the private sector’s technology for the improvement of our society but we believe microfinance or “face to face finance” also is a basic need of everyone and plays a key role in the development of a healthy and peaceful international society. 【Fee】199,380JPY *Including hotels (breakfast &lunch) and lodging, local transportation, field visits, and course materials. *International travel is not included and participants are responsible for their own travel arrangements to Bangladesh. This course is especially recommended for those who want to improve their knowledge of best practices in microfinance such as development practitioners, microfinance professionals, policy makers, donor staff, socially responsible investors, students, and others. What was your motivation for joining the course? Since I had been working in rural China as a staff member of an international NGO PLAN, I wanted to support the local people to become independent through their own businesses and bring sustainable development to such regions. After my time in China, working for a financial institution and gaining business experience encouraged me to study microfinance in order to support local entrepreneurs through finance. The microfinance course held by the Alliance Forum Foundation and BRAC University was appealing as it provided practical lessons instructed by leading experts not only from MFIs (microfinance institutions) but also from many institutions such as CGAP (Consultative Group to Assist the Poor) and the Bangladesh central bank. In addition, the course offered a good balance of fieldwork and lectures. This encouraged me to participate in the course. Could you share with us a memorable episode from the lectures or field visits? When we had the lecture from Dr Yunus, I was overwhelmed to see the meeting room filled with his dignity. One of my classmates asked him “What would you say to the young people of Bangladesh who want to change the society but cannot do anything due to the political corruption?” He answered with a serious look in his eyes. “There is no single perfect environment. In any environment, each person’s tiny effort can change the world” . This left a great impression on me. As for the class lectures, all the professors had a rich expertise and it was extremely insightful to hear about microfinance from various perspectives. I was especially interested in learning about Grameen bank and BRAC’s initiatives for the ultra poor, a population often left out of microfinance. 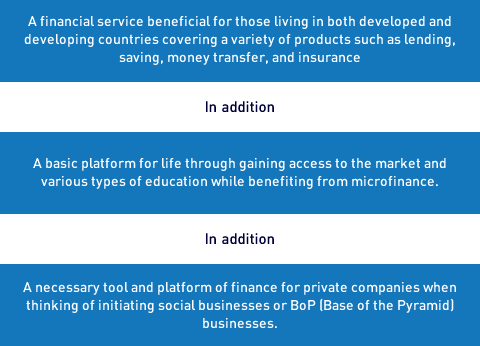 There was also much to learn from the comparison of the characteristics of microfinance in Bangladesh and that of Latin America and African countries and government regulations of microfinance. How did the course influence your work and activities? After I returned to Japan, I became more and more interested in social business in poor regions. I began to initiate various activities of raising awareness related to social business in poor regions in developing countries. Furthermore, participating in the course led to my decision of making a career change to the current research institution I work for in order to do pursue my true interests. I have the privilege of working with a classmate I met in the course. I had been working in a food processing company in a small city in the southern region of Myanmar, neighboring the country of Bangladesh, from 2003 to 2007. During the period, I was shocked by the shortage of basic supplies to make a living as well as the lack of financial infrastructure. Ever since completing my stay in Myanmar and returning to Japan, I had been thinking about how to contribute to the development of Myanmar and I happened to find the recruitment of microfinance course of Alliance Forum Foundation. Until then, I had little idea that microfinance had developed in Bangladesh although it was a neighboring country of Myanmar and economic development rate was equivalent to that of Myanmar. 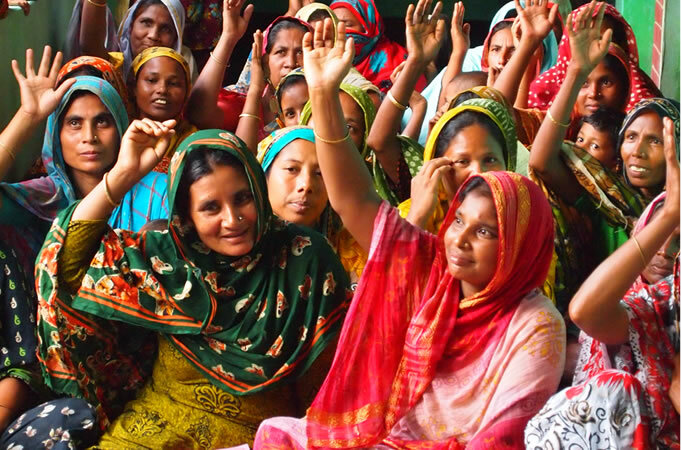 I was eager to learn about what aspects of Bangladesh influenced the formation of the long tradition of microfinance in and how it had developed. Furthermore,I was keen to see whether or not it could be applied to the situation in Myanmar as well. This encouraged me to decide to join the course. The course program had well balance of lectures and field trips. This enabled me to have an exciting experience every day. 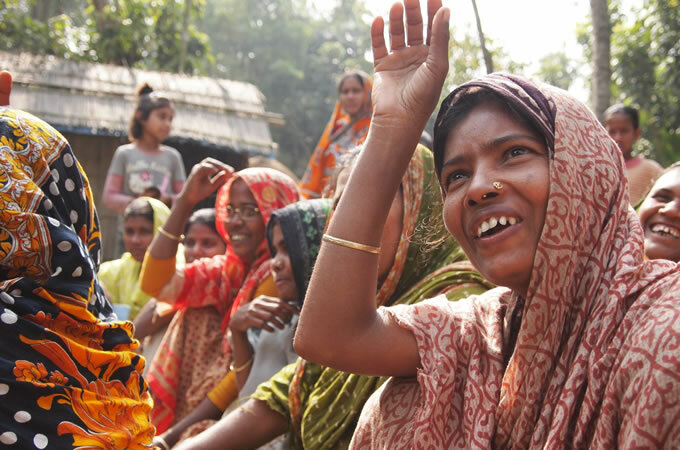 During the field trip, I observed the local peoples’ lives and I became aware of the fact that microfinance is deeply penetrated in the whole of Bangladesh society. The shining eyes of the children I met during the field trips have also been engraved in my heart. This encouraged me to make a picture book of their smiles. I established the volunteer organization in the southern region of Myanmar in 2006. I have been providing charity to orphanages and local schools with my collegues, but after participating in the course, I was driven by the feeling that I really wanted to convey the dynamism of microfinance in neighboring countries and my excitement and impression to the people in Myanmar. Thus, I went to Myanmar and conducted seminars for students who were interested and members of our volunteer organization. In the southern region of Myanmar, there was a lack of basic life and financial infrastructure and only a few participants in the seminar had already known the concept of microfinance while most of them had never heard of it. Despite of the fact that it was a new topic, I was delighted to hear that the local people in Myanmar began to operate microfinance experimentally after a few months from the seminar. As it is a small pilot program we have many challenges to deal with, such as obtaining a license. However, I am willing to support their firm first step and motivated initiatives. In addition to my follow-up activities in Myanmar, I held a debriefing session in my department and shared my experience in the course with my staff although they were not familiar with microfinance. I felt the awareness of social issues in my company had increased. Lastly, the best part of participating in the course was have the chance to meet with the participants and staffs in the Alliance Forum Foundation. I was impressed that every participant had a strong commitment to social issues and was striving to make a difference while industries and occupations of the participants varied. I really appreciate that I can still keep contact with the participants of the course even after two years has passed and have a relationship to last for a lifetime.